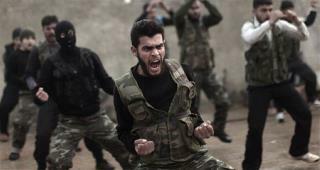 (Newser) – The Pentagon plans a total revamp of its plan to train an army of moderate Syrian rebels after a disastrous start to the program. Officials had aimed to train thousands of fighters in the first year, but only a few dozen made it through the vetting process, and many of those first 54 graduates were killed and captured by the al-Qaeda affiliate Nusra Front within weeks of graduating the US program in July and joining the American-backed Division 30 group in Syria. In classified assessments, the military admits that the debacle showed that the rebels didn't receive enough training and support and were not sent to Syria in numbers big enough to make a difference, the New York Times reports. Our Government's competence never fails to amaze me. How many people here on this very site predicted this was coming. I did.